the many beautiful prints on the front of the planners. Great because it fits in a pocketbook. What I like most is the individual date boxes are bigger than most others I have had and I can actually write in them. I use it to keep track of my appointments. Love the notepad in the back. Love that it is two years. My grown children have started asking for them for Christmas. Have ordered them for years. It was a gift to my daughter. She is using it to keep up with important dates at our church. the planner is perfect for my every day needs. I use the planner to jot down reminders ie. : Drs appointments, birthdays, anniversaries, to-do lists. Everything about these planners are excellent. Also the handy notepad for on the go information writing. Great product to keep in your handbag to keep up with all current or pending dates and happenings. Would recommend to everyone who might be interested. Gave these to friends a church and they also seemed to like them. Was glad I decided to order them and give as supplemental gifts. Looks great. Pleased with the personalization. These are small Christmas presents. I use this to keep daily schedule of employee as well as personal dates, ie; medical & other types of appointments. This pocket planner is great for remembering important dates also Birthdays ! I use it in my purse of anniversary's and birthday's. I'll be giving this calendar to a sister-in-law, and I know she'll be pleased to receive it. Every year I take advantage of these as gifts for friends. The gifts are so appreciated! What a nice thing to have! Some past people look forward to their new one. This planner is GREAT ! I bought this planner as a gift. I will be giving it to my sister for Christmas. I know she is going to love it. I bought a plain purple one for myself. The size is perfect and plenty of room to write down appointments. The little notepad in the back is an added bonus for those times your scrambling looking for something to write on. I would definitely recommend! 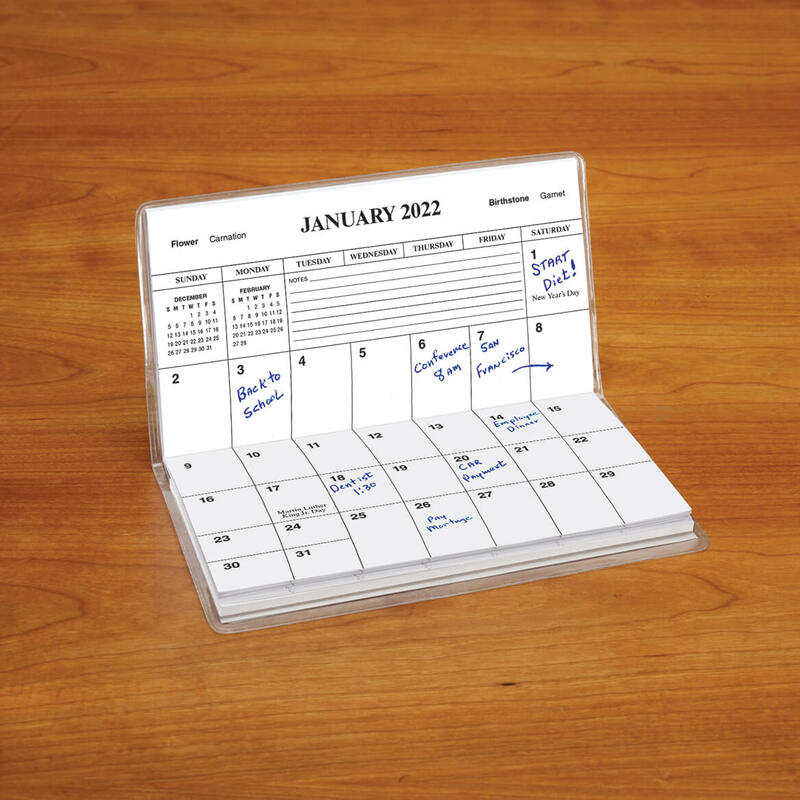 I really like this handy pocket calendar to keep up with all my appointments. It is just the right size to fit in my purse and it has 2 years of a calendar. Priscilla, the active senior citizen. Would buy it again and again. I give this product as gifts and everyone I've given them to really find them to be handy and helpful. It's size makes it very easy to take along and record new items in. use them every year for years. I love the looks of the cover and decide to purchase it. 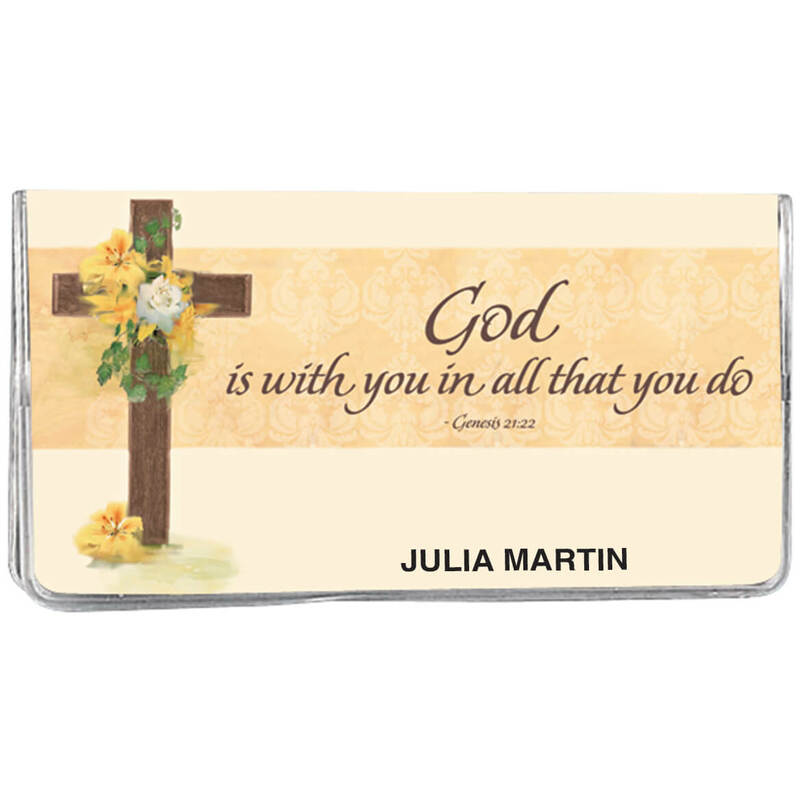 I chose this for my sister who lost her husband recently, to let her know she is not alone for God is with her every day. I'm patriotic and a Christian, I am happy to see this type of planner being offered. This is something I believe in and thankful that it is available. I have to keep up with my dad's appt.as well as my own. It is so great to pull this out and schedule our appointments without having to go home and call back. I like "old school" " pencil & paper" way of keeping track of appts. This fills the bill! My daughter loves these planners and asks for a new one every two years. I like 2 year pocket calendar planners, they keep me informed now and later on. I'm a Christian so I like having words of God. Desperate need for 2 year planner to keep my information handy. i like that it was religious and I loved the cross and also my names is on it. I believe in God and know He is with us all! Nice! small easy to carry and a great way to keep reminders,appointment, etc. I've used these calendars for years and love the way they are set up. The cross gives a daily reminder of who holds my days. It fits what I wanted. I always use 2-year pocket calendars. I like the cover on this one, and the price is as good as I can find anywhere. Most helpful item to keep up with appointments, athletic events, family plans, etc. i keep second one with all doctor/medical appointments to use for tax purposes. Also give these to update friends personal planners. I like 2 years planners and beautiful covers. We need to bring God back into our country and our lives. A necessary item for any woman's purse. Live this for my Wife. I buy a new one every year to carry and record appointments and use it to help track mileage for medical appointments. Have been using these for MANY years! My children are always anxious to get theirs as well as several friends! I always need several years in my calendar for upcoming medical appointments. It has good size spaces to write events on the dates and it has an inspiring design on the cover. It is so handy to have two years together. I order every year so I can always have next year's dates available. because of design and I always use my 2 year pocket planners! I have been buying them for years! WHAT TWO YEARS, CAN I GET 2016 AND 2017? BEST ANSWER: Thank you for your question. The Two Year Planners are for 2016-2017. We hope this information will be of help to you. are you pocket planners 2017 & 2018? BEST ANSWER: I ordered the 2016 and 2017 calendar last year. It is great to have in my purse when seeing doctors to go ahead and write down my next appt. So easy to pull out if I see another doctor to make sure I am not already booked. I keep up with everything in my planner. This is the best calendar because there is enough space to write things down on the date It has a pretty cover with plastic to protect it, a note pad in the back of the calendar, and you can use it for 2 years. I love it. If you are ordering this year, it should be for 2017 and 2018. I bought mine in 2015 and it was for 2016/2017. Is the two year calendars 2020-2021? BEST ANSWER: My current calendar is 2017-2018. I am getting ready to reorder so my new calendar will be 2019-2020. No. It covers 2019 & 2020. hope this helps. What year is beginning date? BEST ANSWER: Thank you for your question. At this time the planner is out of stock, once we get it back in it will begin with 2017. We hope this information will be of help to you. Do the dates begin in January? BEST ANSWER: Thank you for your question. The 2 year pocket planners are for 2016-2017 starting with January 2016. We hope this information will be of help to you.